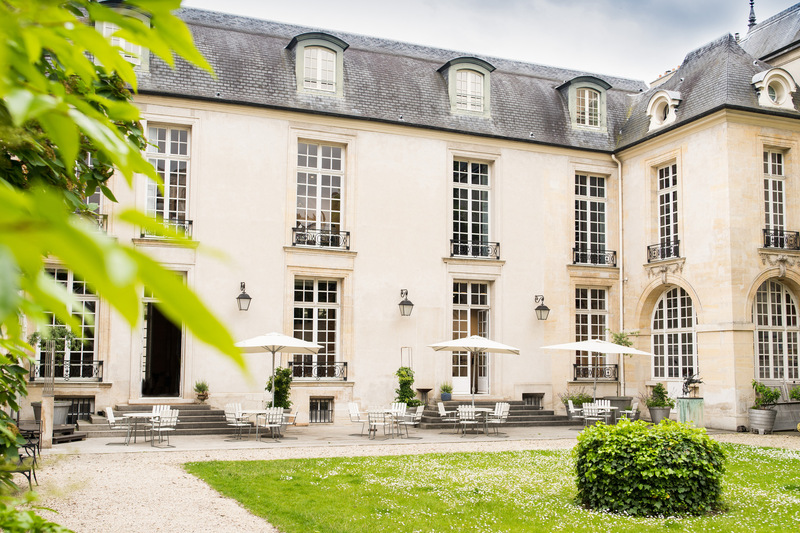 The home of the Institut Suédois is the Hôtel de Marle, an outstanding partially listed historic building. The Swedish State purchased the 16th century mansion in 1965. 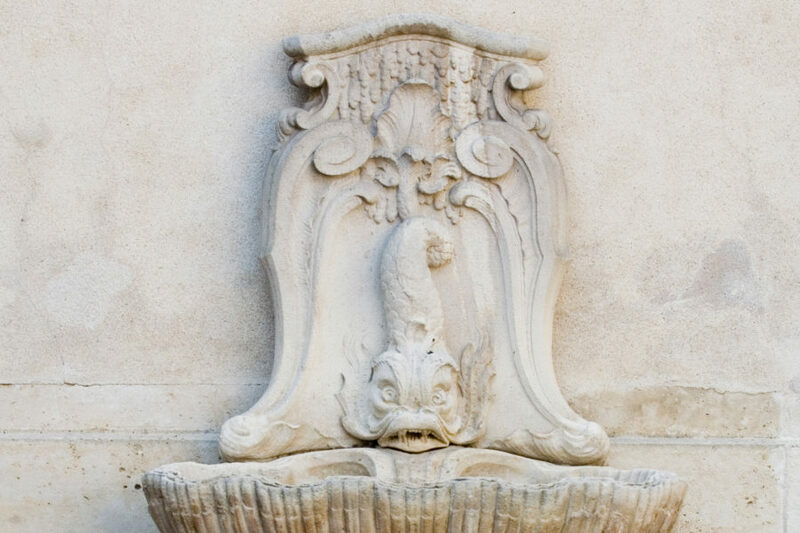 It was completely restored, which means that visitors can admire the historic building while touring the temporary exhibitions and permanent collection at the Institut Suédois. The façades, roof, and main staircase are listed features. Restoration work began in February 1967. It involved clearing out the cellars, demolishing the timber structure over the garden, surveying the walls and ceilings, removing the plasterwork, looking for signs of historic structural components, locating the positions of the original doors and windows, and so on. 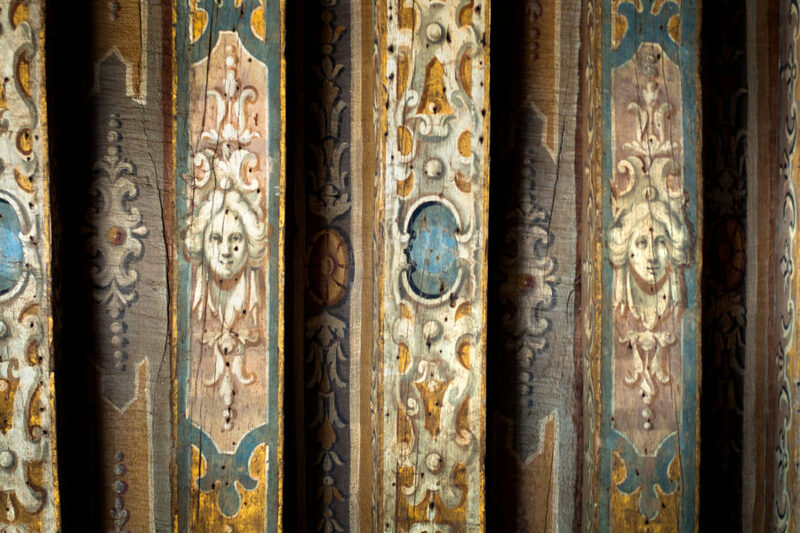 This is how the beautiful painted ceilings and traces of original frescoes were discovered under the plasterwork. To everyone’s surprise, a semi-circular roof structure with a counter-curved top section, in the style of the famed French Renaissance architect Philibert Delorme, was also discovered. It consists of semi-circular beams held together using wooden cotter pins, and is unquestionably one of the finest examples of a lightweight roof structure dating from the mid-16th century. It is probably the only roof of its kind in Paris. 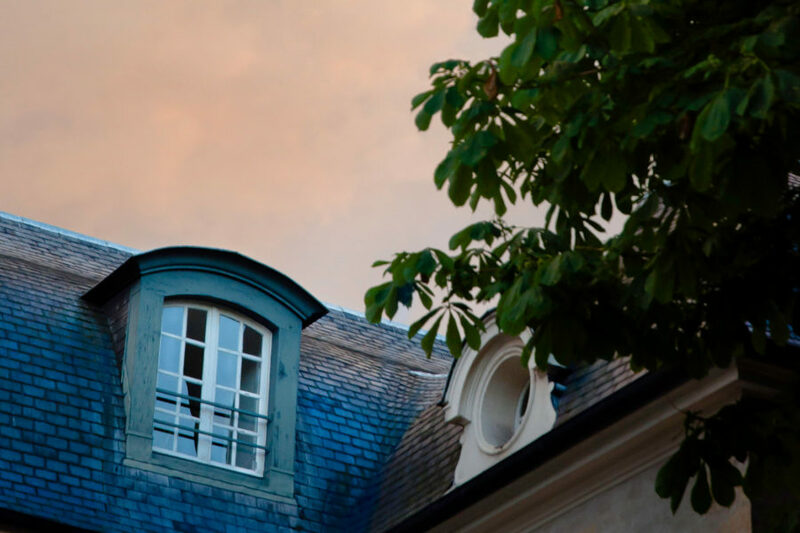 A faithful replica of the original “Philibert Delorme” roof was constructed and installed, and the entire new roof structure was tiled with thick slate. The two small wings at right angles to the main building were tiled in the same way. The two small pavilions overlooking the garden had ground floor arcades with rectangular windows. The arches were reinstated, and surveys revealed windowsills with stone balustrades, which were restored. Some windows still had their original wooden muntins (glazing bars), and these served as models for restoring all the windows. New wooden dormer windows were constructed on the side overlooking the garden, while others overlooking the courtyard were replaced. The rendered façades were restored using lime mortar.